Mining powers America, from the fuels that feed our energy grid to the metals that carry power to our homes and businesses. Coal and minerals play a key role in every stage of energy delivery. Americans expect reliable and affordable energy, powered by a diverse mix of coal, natural gas, nuclear power, oil and renewable sources. With more domestic reserves than any other country, coal remains a key partner in America’s energy future, reducing our reliance on foreign markets and providing us with secure and affordable energy. That energy picture also includes uranium, which is critical for the nuclear industry, and renewable energy from wind turbines and solar panels made from minerals like copper, aluminum, zinc, molybdenum and silver. 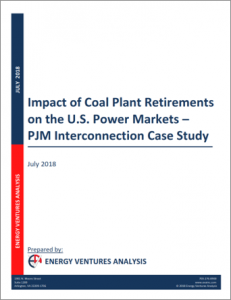 The development of a viable coal-to-liquid industry in the U.S. has the further potential to expand coal utilization beyond electricity generation to the transportation sector. Poly-generation plants can produce an even wider range of products. Advances in technology and more efficient combustion systems have enabled U.S. power plants to reduce their regulated emissions by more than 60 percent since 1970, while increasing electric power output over the same period by 140 percent. In fact, a new coal-fueled power plant today emits 90 percent fewer emissions than the typical plant it replaces built in the 1970s. Ongoing advancements in high efficiency, low emission (HELE) coal technologies and carbon capture and storage (CCS) hold even more promise for the future. 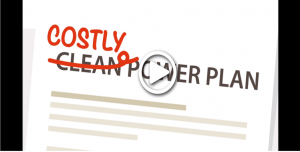 Video: Are We Gambling With the Electric Grid?